After seeing K Slack by chance, I decided to do a bit of research. I was impressed enough with what I heard to call him up for an exclusive interview with LikeTheSound. 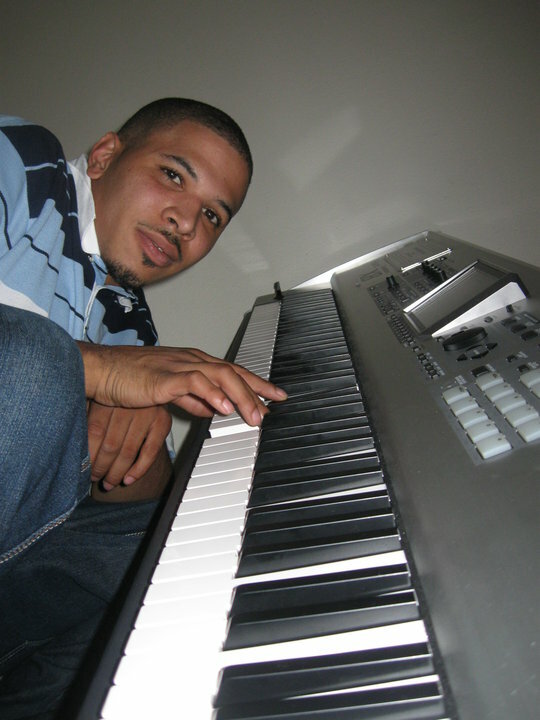 K Slack is a Hip Hop, RnB, Rap artist and Producer originally from Durham, North Carolina. He is passionate about music and it is this that shines through and sets him apart from the rest. 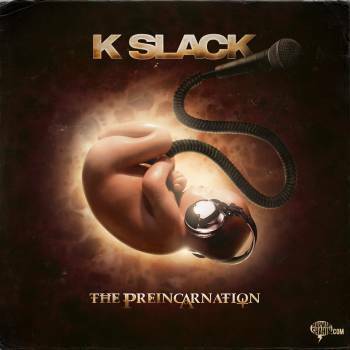 K Slack has a new album titled The Preincarnation and it is out now. K Slack is not only a talented artists and producer, he is also a pleasure to work with, he is always name-checking his co-workers and friends. He is also brutally honest as you will find in our exclusive interview. Addolorata : Your new solo album The Preincarnation is out now, how is it being received by the critics and fans? K Slack : I have received responses like "Definitely a must buy! ", "Best hip hop I've heard in a very long time", "that Weekend joint is so f**king west coast", "THE BEATS ARE CRAZY", "So impressed!!! ", "Dope project", "This is dopeness right here", "F**k that song LEAD THE WAY IS f**kING CRACK..." Now nobody is perfect so I had 1 person out of hundreds say "It wasn't there kind of music" but they never said it wasn't wack, and still they paid the money for the cd just because it sounds better than most people they run across!!! Then you have a few people who rather not support and download it but I recommend buying the actual cd or download the mp3s to support!!! Addolorata : I have my download - very happy with it. Do you have a UK fan base yet? K Slack : I know I have a few fans lurking mainly because of the album Perfection Xperiment 2 but the magnitude or how many I'm not sure!!! But I do know they exist!!! Addolorata : What other jobs have you done outside of music? Addolorata : Tell us about TheThryday? chilled after that for several days than he was the fourth member of TheThyrday!!! We started workin on PX1, made a demo, then once we made Fantastic with Nicolay I think thats when we scrap the project and started on PX2!!! But like any experiment some work and some dont!!! We paid for 1 or 2 beats from 9th Wonder then he became a 100% believer in us and stop chargin us!!! So we had pretty much 9th, Khrysis and Nicolay's support. 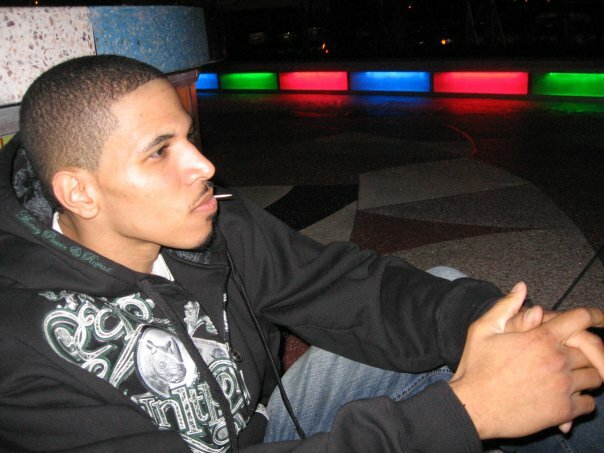 I spoke frequently with Von Pea on the internet and he sent the beat for Love Music to me one day. It was dope so we made "Love Music" but I personally felt the beat could be better so I redid it but still gave him credit. He was cool with it as long as his name was on the project. As we was in the process of puting out PX2 Khrysis left the group because people felt he would be better off workin with a member of JL and forming a group!!! Then when the project was officially done we started pushing it that's when J decide to go a different route of management and team. Then like a wild fire TheThyrday was known everywhere worldwide but we had already broke up before we had a chance to even embrace our hard work paying off. So now after years and years of not speaking, beefing, or whateva we are now trying to figure out what is the best way of putting out PX3!!! We have a few songs recorded but it's been put on hold for now!!!! Addolorata : How supportive have your friends and family been to your music career? K Slack : That's the hardest question to answer because family and friends know me as Keith and not K Slack!!! So when I 1st started doing music I thought they felt it was only a temporary thing I would stop soon. In high school when most kids was sneaking out of a window to go smoke, see a girl, or whateva I was sneaking out my window to go to the studio! !lol So my vision of being on stage and having an album wasn't realistic at 1st so they didn't understand. Then when I started opening for KRS-1, Ludacris, and etc it was an eye opener for them. Then it became a thing about "Are you getting paid? How is this helping you?" Which to me now is legit question but I think back when I started I was still a fan of the music and didn't have a true business mind!!! But when PX2 came out my family was a big support, I know my cousin Ebony was running to every store to buy a magazine if I was in one!!! Even with "The Preincarnation" my biggest support has been my family!!! They are the backbone of my operation!!! Addolorata : Do you have any plans on playing live here in the UK? K Slack : If the UK wants me there I'll be there. I will know by album sales and downloads. But I know that the UK knows good music so God willing I will be there soon!! Addolorata : Which UK artists do you like? educated enough on UK hip hop to truly answer that question. I don't want to give the obvious answer of Slick Rick being the political correct answer. So please UK let me know who is dope!!! Addolorata : I'm really proud of our UK Hip Hop, Grime and Garage scene, check out The Streets, Wretch 32, Wiley, Sway, Kano, Giggs, Kevin Mark Trail, G FrSH and Drake, to mention just a few, but there are plenty more out there who will be getting featured here on LikeTheSound very soon. I have been listening to your new album a lot lately, and I'm wondering, what issues and subjects drove your lyrics for The Preincarnation? K Slack : Well "Who I Am" I was expressing everything that either happened to me, my stereotypes as being a Black man in America, and the fact that people rather see me fail. "Lead The Way" I told a story that took many turns but was inspired by real life events in my life. I was really locked up when I was rappin for others in there and they told me "we never want to see you in here again! You have too much talent!" Now the song "Cali" I spoke on Cali from a perspective that most are not use to hearing if you're not from here. I just talked about things that can really happen in the streets!!! to make a song showing my range of concepts. "I West" that was just a magical moment being at Kidd Starr's house. I took J Jacobs and Smash with me to listen to beats. The rest is history! "I Still Love Hip Hop" was inspired by my friend Mariko. She would come over and be like "alot of your music sounds angry, make something for the Hip Hop fans" lol We call it Sweater Hip Hop (inside joke) but I just spoke from the heart on something that I did growing up listening to Hip Hop. Writing at the bus stop, looking crazy with the headphones rappin and walkin, not getting paid right, signing autograph and being surprise!!! Just speakin on various things so people who are trying to do this know what is to come!! It's not easy!!! "The Weekend" I just wanted to write a song that was fun and share what it would be like to go out 1 night with me or just chill with me in Cali!!! "Going Back 2 Compton" I notice when I made the song that alot of artist that came out of Compton was slowly or already not mention Compton as much and just saying LA or Cali!!! So being that my dad is from Compton (R.I.P), and alot of my family is I had to make a song. So I was inspired by LL Cool J's Goin Back to Cali" so I decided to do Goin Back 2 Compton. 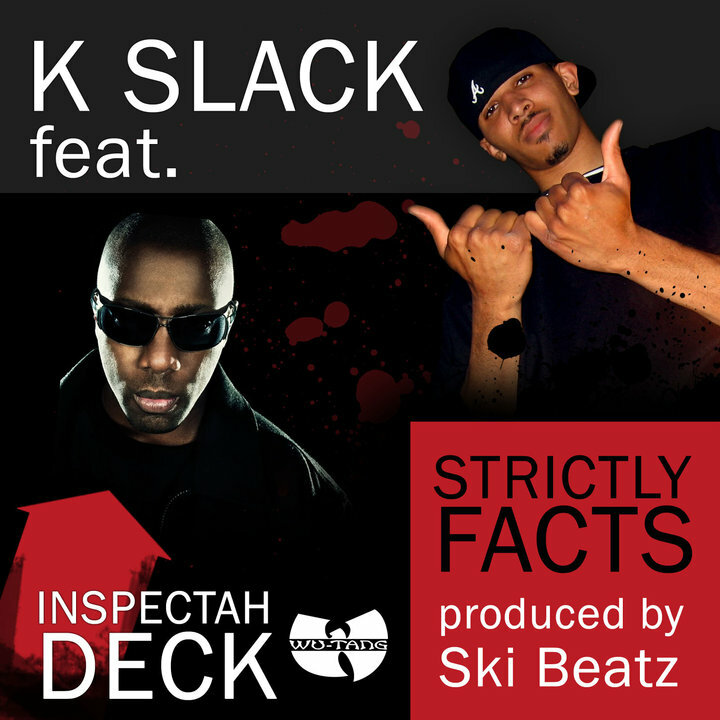 Now "Strictly Facts" I wanted to get more lyrical I would say on this track just give a raw hip hop song for the people. I was in a position to have Ski Beatz prod. the track and have Inspectah Deck feature on it. So I had to make it happen for the people!!! "Never Say Never" I just want to end the album on a tip like "Never Say Never" because I had certain teachers who said I wouldn't be nothing, individuals saying I wouldn't be a good father to my son, and etc... So I was letting people know that just because someone says you can't be something doesn't mean its the truth!!! You decide that to a certain extent!!! Addolorata : Which of your songs, past or present means the most to you and why? The reason why I say this song because I wrote this song from the heart and I meant every word. I took my time writing and reading the dictionary to figure out what best describe my feelings, etc... I went to the studio with 9th Wonder and recorded the song. When it was done 9th burn the song on a CD and went up the street to where Joe Scudda was. 9th was expressing to him like "yo you gotta here this song K Slack just recorded!" Now the female I wrote it for we are not together anymore but I love the sincerity and genuine passion of my words more than anything!!! Addolorata : Who did the artwork for The Preincarnation album cover? K Slack : Marwan Shahin (www.marwanshah )! came up with the idea for the cover but I only mentioned it to him as an idea, we are both apart of a site called Boxden, I saw his work on there, and pm him! I came scrap because I thought it wouldn't be appealing to the eye. He was like "naw I rather do the creative one" and I was like "go for it". He did his thing and I was a happy customer. Addolorata : Tell us who else features on the new album and what they are doing? K Slack : Well I have a project with Nycest Emcee where I do 80% prod. on his album called "The Departure"!! So far we have Royce 5'9 and Rah Digga on it. We are shooting for KRS-1 to get on the project but we will see!!! Now V.I.L.L.I.A.N aka Sassy Villian bka The Stud Rapper I'm in the works of working on a project with her also. We are only 1 track deep into it but its coming. K Hill just drop a real dope music video titled "K-Hill - "The Declaration of an Independent" ft Dasan Ahanu" check that out!!! Centric put out a project called "The Alter Ego"! I know Reasonable did a beat on Glasses malone's album drive-by music titled "Peppermint Stripes". I know Ski Beatz and Inspectah Deck always got something coming up so just google them lol!!!! Addolorata : Who would you like to collaborate with next? K Slack : I was asked this same question last year. My response was more on who has a name in the industry that I would like to work with but I'm out of that mind frame really now. Some people in the industry are talented but doesn't mean we will get along as people. So its kinda hard to say...I just want to work with like minded people with the same ambition. But as a producer I would want to have a chance at producing 1 entire album for Ghostface Killah!!! Addolorata : What is your proudest moment of your music career so far? K Slack : To actually finish my solo CD, have an official company, and seeing the vision come to life. To me that was bigger than anything I ever done. Not that it's any one's business but I'm on probation and as a felon nobody wants to hire you honestly. So instead of being at home depressed and waiting on someone else, I decided to create my own way, God willing be successful! Addolorata : What has been the lowest point in your life? Addolorata : How did you get from such a low point to where you are now? K Slack : I did what had to be done, anger management, going to court, drug classes, staying out of trouble, and just focusing on "The Preincarnation"! Addolorata : Who is your biggest inspiration in life and why? K Slack : If I had to choose a person it would be my dad! He was shot and killed in Compton in 1987. I was only 3 so you can imagine a life of growing up without my dad because he was shot. But what makes me even madder is that you have people in life that have fathers and their fathers don't want to be apart of their lives. Why? I don't care if its a phone call, visit, or something. I'm a person who wish I could remember my fathers voice or even see him move. Every tape of my father was burn in a fire so I have never even seen my father alive. So it just lets me know that life is precious and to keep striving because you never know when that time will come. Don't wait til its too late!!! 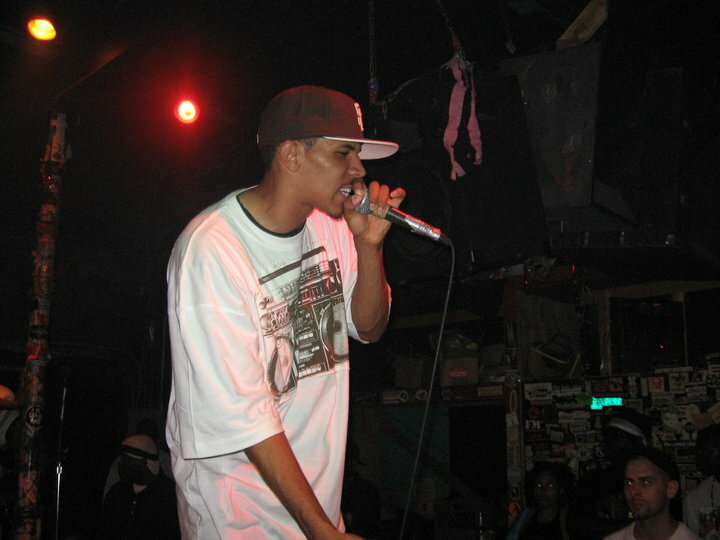 Addolorata : What is one untold Hip Hop story that you know??? so! Do you know what you just did?" but I told them straight up "moms said they had to go! "lol that was like in 03 or 04!!! Sorry Hip Hop Heads!!! Also 1 honorable mention story: I was accused of hittin Lil Wayne with a bottle in Greensboro 1999-2000 and I didn't. So my run in with Cah Money back stage after being snatched out the crowd has been an inspiration also. Addolorata : What is next on the agenda for you? K Slack : Music Video!!!! I have a very talented person that the world will come to know very soon shooting the video but I don't want to reveal too much about her yet!!! Addolorata : Well I think that just about covers things for now, thank you so much for a great interview. What a star! You will definitely be hearing a lot more from K Slack. ace interview, hope to hear a lot more from k slack. WOW ITS SOUNDS LIKE YOU REALLY SHOULD OF STAYED WITH THE (FEMALE) YOU WROTE THE broKen anJel FOR. I KNOW YOU DID A LOW KEY SHOUT OUT TO HER!! AND THAT SONG MEANS THE MOST TO YOU!! The Preincarnation!!! Wow thats a 5 mic fosho!! Everyone who hasent listened to it, needs to download it!! Keep it up!! I cant wait till your next album releases!! Greatness will prevail in all cases.